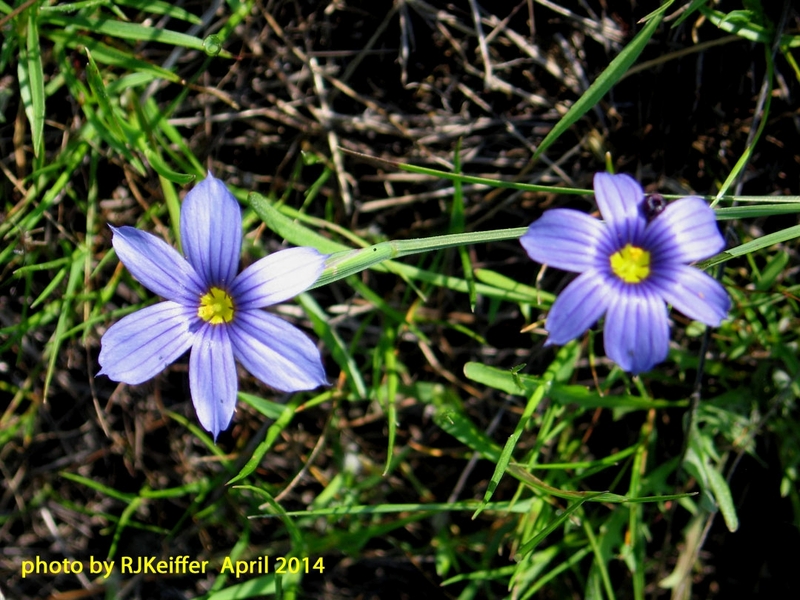 Scattered on the open grassland and oak woodland rangelands of the North Coast is a small but showy blue flower of the native plant known as Blue-eyed Grass (Sisyrinchium bellum). This flower has six blue to purple-blue petals that upon close inspection show darker veins on running lengthwise on each petal. The stems and leaves of this wildflower are curiously flattened ... which helps a botanist key it out into the Iris family of Iridaceae. So, despite the name of "Blue-eyed Grass" the plant is really an iris and not a grass. This perennial flower has always been a favorite wildflower here at the UC Hopland Research & Extension Center.